Will We See You In Orlando? If you’re headed to Orlando for the 2011 ASTD International Conference & Exposition, we hope you’ll add us to your “to-do” list! How organizations from Microsoft Game Studios to the University of Maine are getting better results through better thinking. Your opportunity to win a free seat at an upcoming HBDI® Certified Practitioner Workshop or a free Whole Brain® Thinking skills team webinar. 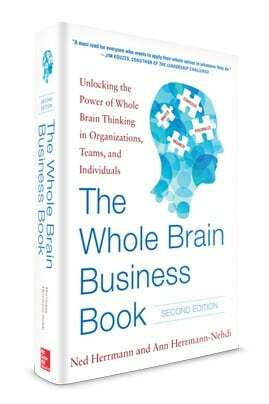 The latest developments in Whole Brain® Thinking – a system that will help you outthink, outpace and outperform the competition. Whole Brain® Thinking In Action: Contest Winners! 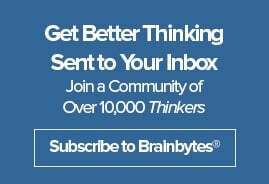 Thanks to everyone who participated in our recent blog contest about the organizing principle of the brain and contributed to the list of ways Whole Brain® Thinking can be applied. The list keeps growing, and even though the contest has ended, we hope you’ll continue to come back to the post and add your thoughts and ideas about how you’re driving the Whole Brain® Advantage and how that’s fueling success in your work and personal life. Ned Herrmann, founder of Herrmann International, wrote that the Whole Brain® Model is a metaphor for an organizing principle of how the brain works. It is rare that anyone pushes back on having some fun, unless it feels like we are doing something “too serious.” Fun is, in fact, one of the most effective ways to engage, learn and gain compliance. Perhaps you have seen the video on YouTube that shows the piano stairs in Sweden, designed to get people to take the stairs rather than the escalator for improved health reasons. Before they know it, subway riders have actually enjoyed their climb up the stairs. The Trends We’re Watching in 2010: How Will They Impact You? From leadership strength to innovation, virtual teams to social learning, faster on-boarding to better measurement, business leaders and learning professionals have a full plate in 2010. We’ve distilled down the trends and focus areas organizations are talking about into our list of Top 10 for 2010, including the Whole Brain® implications for each of these trend areas.